An impression from the Islay walking week 2016, the walkers near Loch Kinnabus on the Oa. Some Barnacle Geese are flying overhead, may be getting ready to return to their summer home? 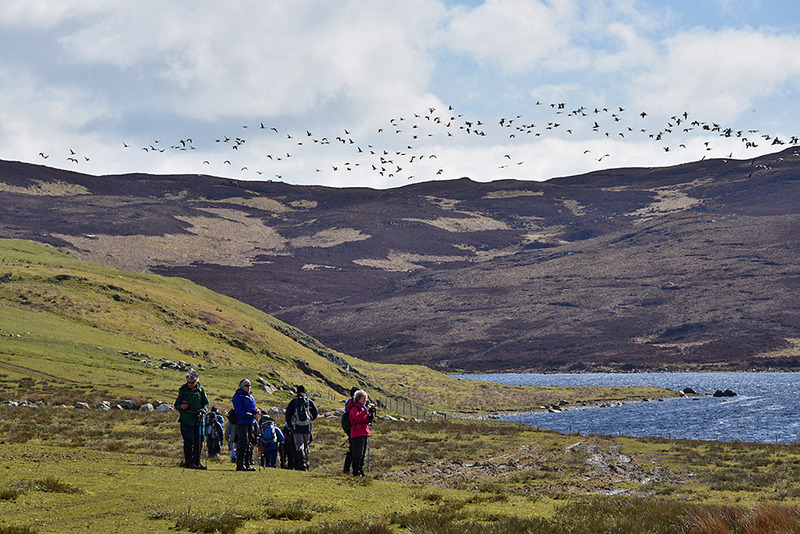 This entry was posted in Freshwater Loch, Landscape, New Post, Sunny Weather, Wildlife and tagged Barnacle Geese, Islay, Loch Kinnabus, The Oa by Armin Grewe. Bookmark the permalink.